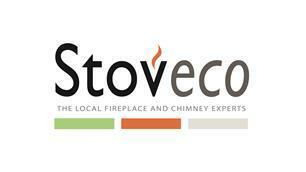 Stoveco - Chimney Sweep, Fireplaces/Stoves based in Boughton Monchelsea, Kent. Stoveco can design and provide your perfect wood burner installation, throughout Kent, Sussex and Surrey. When designing the perfect look of your Wood Burner Installation, you’ll want to make sure it’s the desired appliance. At Stoveco, we don’t just supply and fit Wood Burning Stoves, We provide a complete experience from design to installation. If you’re looking for the perfect Wood Burner Installation, Stoveco can help! Our Wood Burner Installation specialists at Stoveco are qualified HETAS engineers with years of experience to help find the best solution for you. We have stoves that are built to the highest quality provided by the most reputable companies, many of which are built in the UK. Not only that, but we have outstanding reviews for customer care, workmanship, tidiness and overall customer satisfaction from all our customers in kent, sussex and surrey. We’ve built our company by providing the best service, whether it’s just a simple installation to a fully designed system specific to your household and budget. Don’t be afraid to call us anytime for free and friendly advice! We supply and fit hearths, dual fuel wood Burning Stoves, Fire Surrounds and Twin-Wall insulated flues suited to your home. What’s more, we also offer chimney sweeping, smoke testing and services to check that your wood burning stove stays in good health. Our team can provide simple installations or project management from start to finish, whichever suits your needs best. Ashford, Canterbury, Cranbrook, Gillingham, Kent, Maidstone, Medway, Orpington, Sevenoaks, Sittingbourne, Tenterden, The Weald, Tonbridge, Tunbridge Well, West Malling, Whitstable, Egerton.